Juliette possessed a brave and passionate spirit that helped to change hundreds of thousands of young lives. The Courage Awards awards honor her legacy. Juliette Gimon, former Board Chair of Global Fund for Children, passed away on February 24, 2018. Global Fund for Children established the Juliette Gimon Fund for Courageous Leadership, a more than $1 million endowment made possible by the William and Flora Hewlett Foundation and other generous donors. 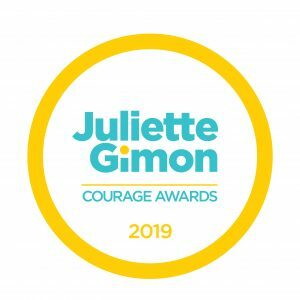 Annual awards from the fund – the Juliette Gimon Courage Awards – recognize innovative grassroots organizations around the world that are positively impacting children in especially challenging circumstances. Some recipients will have overcome considerable obstacles to pioneer an innovation that transforms circumstances for children and youth. Others will demonstrate the courage of resilience, thriving amid unusual contextual challenges; still others will have leaders who have navigated personal hardship and channeled adversity into their organization’s cause. The first-ever Courage Award winners, announced on April 2, 2019 at the Global Philanthropy Forum, are Asociación Generando (ASOGEN) and Mavi Kalem. Watch the winner announcement and check out the stories below to learn more about the Courage Awards! Learn more about Juliette, the remarkable woman whose legacy inspired Global Fund for Children's Courage Award.